Hello friends! 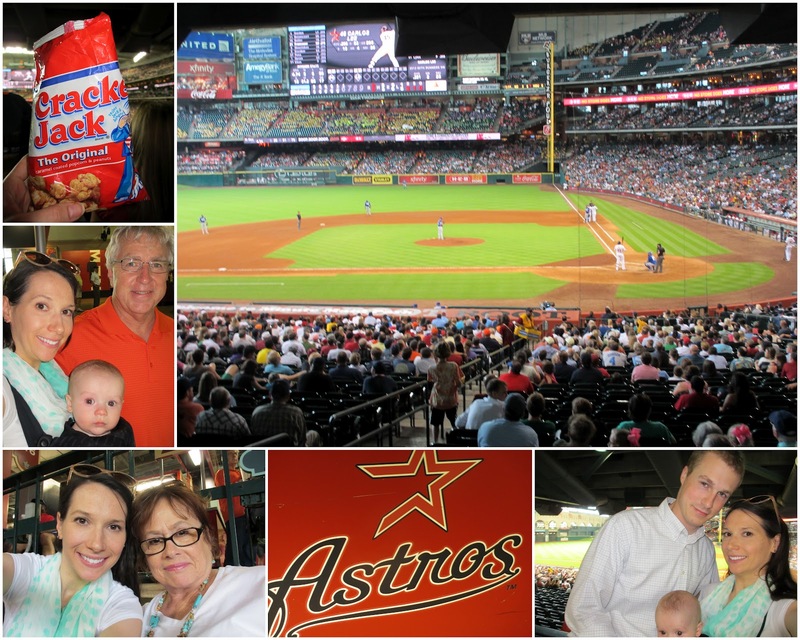 We just got back from two and a half weeks in Texas and Louisiana!! We kept really busy visiting friends and family, getting Paddy Christened, fighting off illness, going to a baseball game, hosting a baby shower, experiencing a wild animal safari, swimming, having bubble fights... all kinds of fun stuff. I took approximately 700 pictures. In two weeks. 700 pictures. In two weeks. How does that happen? I will manage to distill most of those so I can share here. Our time home went by so fast and we are so thankful to have been hosted so graciously by our families. We miss y'all so much and can't wait for our next visit. I'll start picture sharing with trip to Minute Maid Park... home of the Houston Astros. Here is little man at his first MLB game. Go Astros! It's a shame they are so pitiful, but, in all honesty, we didn't watch much of the game. Our attention was diverted to more important matters, like keeping Claudia from eating random bits of junk food off the ground. Daddy was there for "work", but he came and found us for some family fun. Guess what Claudia ate? Everything! Everything includes one extra large cotton candy, one extra large tub of popcorn, one hot dog, extra ketchup, one miniature baseball helmet full of Bluebell ice cream (God bless Bluebell!) and a bag of Cracker Jacks. We rolled her home when all was said and done. Can you believe Cracker Jacks come in a bag now? They almost felt like fake Cracker Jacks to me. Somehow we managed to make it through five, maybe even six innings. Go Astros! I don't think they are in last place this year! Might be second to last, but that's better than last! 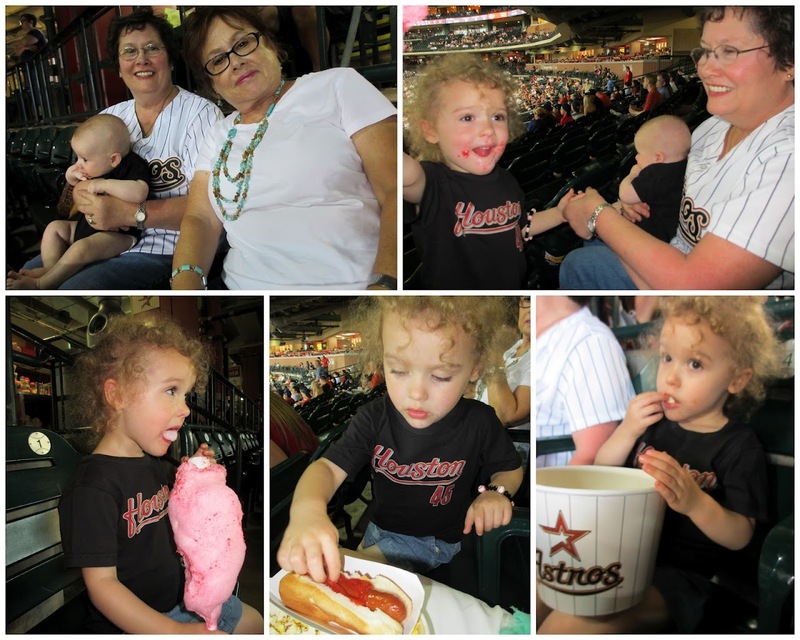 Thanks Gram & Pawpaw for the fun times at the ballpark! Glad you had fun in America! Can't wait to see the rest of your 700 pictures! 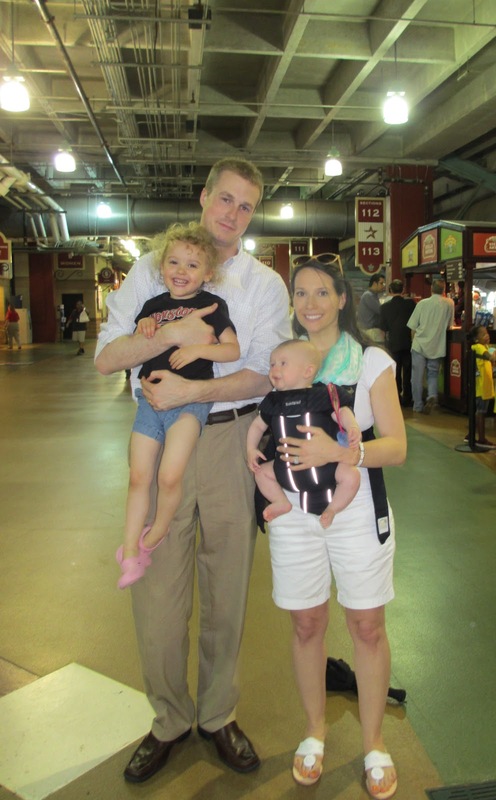 Nice blog describing a great outing. Come back soon and we'll repeat, regardless of this update. The Astros, who have baseball's worst road record at 9-32, were eager to get home after a 0-7 trip. But it was more of the same for them at Minute Maid Park.